Let this serve as a public apology to all of you regular gym goers because I’m a total January Joiner! I don’t actually fit the description of a January Joiner except that, yes, I joined a gym this month. But it was circumstantial! I bought a month pass at a silent auction in September and always knew that I would wait until now to use it because a. it’s dark, cold, and sometimes slippery outside and b. in a month or two my life is going to get really busy and I won’t be able to take full advantage of my membership. From the time I was 16 until I was 27 I had a gym membership and never took more than a 2-3 week break from working out there. When we moved to Peru two year ago (January!) I looked into joining a gym but ultimately decided it was too expensive, which turned out to be an awesome gift to myself. I learned how to work out without a gym! I am a personal trainer and group exercise instructor so I have a bizillion exercises in my repertoire but I still didn’t have the motivation (or something) to push out a full fledged workout in my living room. But I found it. I also began running regularly for the first time in my life (rather than a few times a month). My little home gym was one of our spare bedrooms, “fully” equipped with a theraband, two rock “handweights” (from the beach, hehe), and a travel mat and outside my door I had 6 miles of uninterrupted sidewalk along the ocean cliffs. More importantly than saving myself money, my newfound love of working it out OUT of the gym planted this thought; the gym creates an environment where you get your workout done. If you take away that environment than where you get your workout in can be anywhere, anytime. Your workout can be your walking commute, 10 minutes of yoga first thing in the morning, a leisurely after dinner stroll, a 10 mile run, or all of these things. My point is that when I stopped thinking about the gym as my best option for a workout I started infusing each day with more overall activity. Gracefulfitness ;). I am not anti-gym at all, I just think that it can trick people into thinking that since they put in their time at the gym they don’t need to go for a walk or take the stairs or that they should eat that second helping (to counteract all of those calories the burned at the gym). Back to the gym. The super swanky gym. ACAC is a small chain in VA and PA and I am fortunate to have one just over half a mile from my house. It’s fun to be back in the gym again, I even like the energy at 5pm on a Monday night (crazy this month!) as long as I don’t have to wait for equipment. ACAC has an awesome class line-up, including many yoga classes (and styles) a day. Last night I took a vinyasa class in one of their two beautiful yoga studios. The class was good…until the teachers’ cell blew up when we were in savasana!! And she is award-winning! (Runner-up best yoga teacher in C’ville last year by the C’ville Weekly). She actually seemed a little off last night, like she was getting over a cold or something, so I will give her another chance. Today’s gym plan is Step express and Yin & Yang yoga. One of the things I love about living in Charlottesville is the abundance of local grocery stores. Previously, I used these stores to supplement weekly trips to Kroger but after a particularly crazy Sunday in the big box I decided that Kroger will now supplement my shopping at the local stores. My plan is to stay out of a big supermarket for the rest of the month. 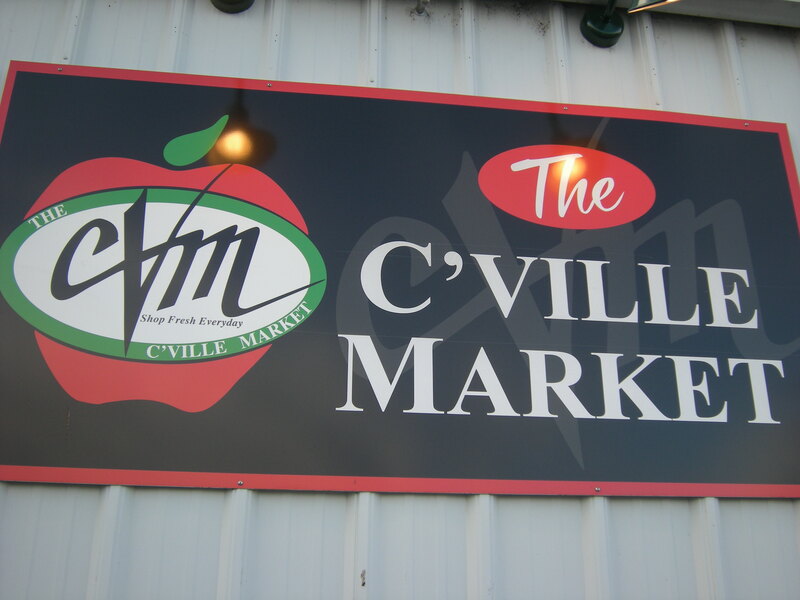 The C’ville Market is has a super friendly staff and a great selection of food for good prices. Another reason to love the CM? My haul cost $18 and change and included a quart of local, organic yogurt, local eggs, organic, fair-trade bananas, and many many pounds of produce. 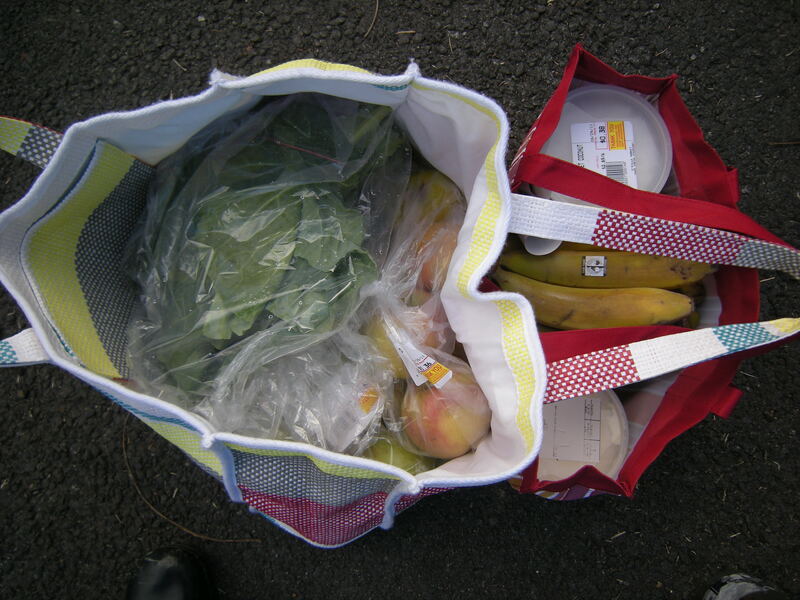 I know that not everyone lives in a place with a plethora of local grocery options but if you do have the option, you may want to examine how much of your shopping can be done there without adding to your bill. 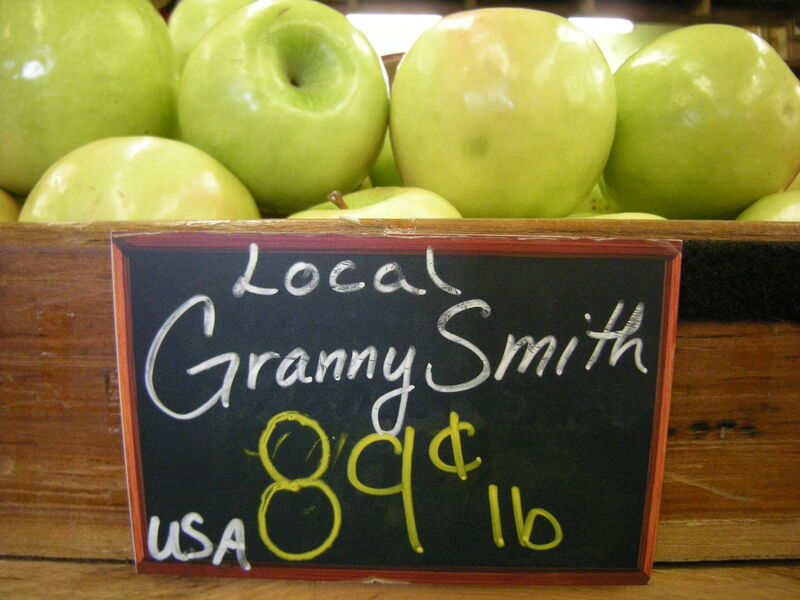 Other great reasons to shop local grocers? Local stores are more likely to carry local products, reducing your carbon footprint among other things. Local stores are generally more friendly and service/community oriented. Local stores are often walker/biker friendly because they don’t require the huge parking lot and loading docks that drive big box groceries to the edge of town. Ok, ok, I am stepping down off of my soapbox and getting to work on publicity for the clinics grand opening next month, have a great day!